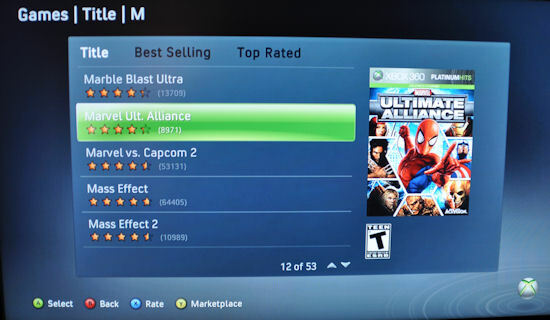 After a nice looking DLC pack was released for Marvel Ultimate Alliance 2, it would appear that all of the DLC on both Xbox LIVE, and the Playstation Network has completely disappeared. That's right, Psyloche, Black Panther, Magneto, Juggernaut, Cable, and Carnage are all gone. What does that mean for co-op? Well in the original game, in order to play with someone who had all of the downloadable characters, you had to download a free character pack. Now, even this free character pack has been removed from the list. Co-op gamers that got the DLC packs early won't even be able to play with people who pick up the game after December 31st of 2009. Or if they want to play, they'll need to delete the characters they purchased. Joystiq has confirmed with Activision that it was a limited time offer on the PlayStation 3, but it's odd Xbox Live wasn't mentioned in their confirmation too. We've have been trying to figure out why this may have happened. We know that a lot of game publishers are sore about Playstation Network Bandwidth fees, which may be one reason why Activision pulled it if sales were poor on PSN. But why would they pull it from Xbox Live as well which doesn't have a fee structure like PSN? Not only did Activision pull all the characters, but all references to the game including gamer pics, demo, and more. The entry is simply gone. Another reason we thought might be an issue is that of licensing. We looked at the rights for Marvel characters, but it looks like Activision extended their licensing rights for Marvel characters until 2017. So unless there's some other legal issue that came up and wasn't disclosed yet, we're baffled. So now what? The fact remains Marvel Ultimate Alliance 2 failed to live up to our expectations to begin with, and this is merely icing on the cake. Anyone picking up the game now who wants to co-op with someone who owns it, and owns it with content, is in a bit of a pickle. Does this mean the end for the game? Now that all of the bonus characters are gone, would you even bother with the game with a lower price tag? Perhaps it's all part of some plan to release a Gold Edition of the game with all this content packed in like what was done with the first MUA. We've pinged Activision for further clarification and will updated when we get a response. Hulk Smash the New Marvel Ultimate Alliance 2 Screenshots! !